[Blind Gossip] This male singer never changes. At a Grammys after-party, he practically made a beeline for these two young girls. He kept saying how impressed he was and how mature their sound is and maybe they could collaborate on something. He asked them for their numbers. Then he said he was going to some after after party and asked them if they wanted to ride with him. We would say that would be like getting a ride to a party from your Dad, but our Singer is Dad-like only in age. We wonder if our girls know about the other young, female singers who deeply regret their “collaboration” with him. He sure loves them young and musical and vulnerable! [Optional] What kind of woman do you think he will wind up with? Everyone thinks it is John Mayer because of his player reputation that even he promotes but I always figured that he would rather be known as a player than gay. Just my opinion. Girls: Paris Jackson and a female date of hers. Optional: Someone young enough to be his granddaughter! Don’t know who the girls are but this sounds like John Mayer. Sounds like John Mayer. Rumor has it, he took Taylor Swift’s virginity when she was very young. Grow up John! You are over 40! Aubrey “R. Kelly lite” Graham. Ewww. Obviously John Mayer and Chloe x Halle. John Mayer has more STDs than Lindsay Logan. Steer clear, girls! Ew oh god is this Drake? I’ve never really cared for him and the whole Millie Bobby Brown thing really rubbed me the wrong way. I think he’s extremely overrated. I say John Mayer for the male singer. Chloe x Halle for the two young female singers. 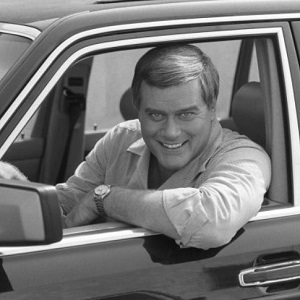 I don’t know who it is, but just want to tell you that I miss Larry Hagman! GREAT photo of him, Ace!!!! Larry Hagmann… starred in Dallas. Usher? This cracked me up. Larry Hagman died in 2012 and if he were still alive, he’d be 88 years old. Plus, he’s not a singer though his mother, Mary Martin, was a big Broadway star. He won’t wind up with any woman, unless his cellmate decides to be the wife. Oh, John Mayer, when will you grow up? Mark my words, he and Katy Perry will end up together. John Mayer? He is such a perv. I’ve never understood what women see in John Mayer, with his big wide head self. Ah, this is 41 year old John Mayer. Chloe and Halle Bailey? I think he would see that as a nice notch on his toothpick of a bedpost. I see him forming a nice bond with his nurse at a Center for Disease Control and Prevention. I hope he ends up with no one and gets tested on the regular. Nah. Calvin is low key.